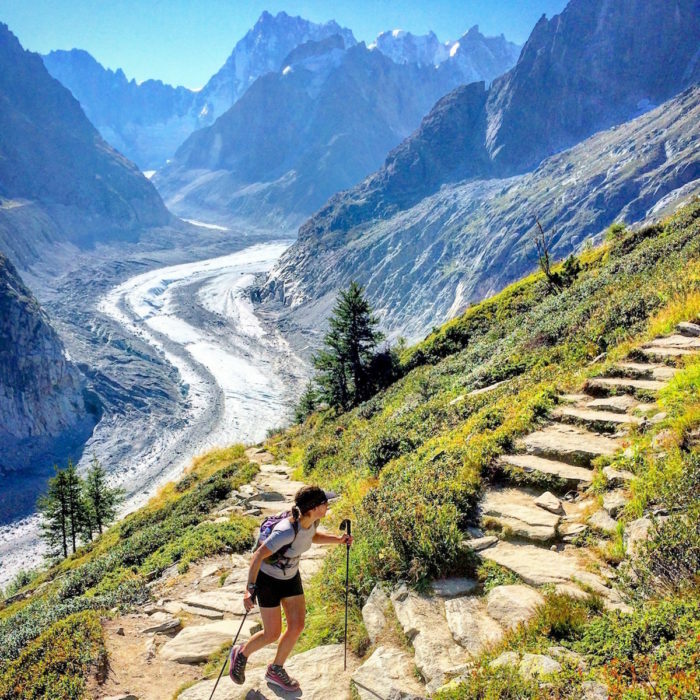 Author of Trail Running - Chamonix and the Mont Blanc region, Kingsley Jones offers a tantalising taste of the magic that is trail running in Chamonix and the Mont Blanc region. Incredible vistas, myriad trails and scenery that will blow your mind. As I ran over Silver How above Grasmere, I had that familiar feeling of cold water and mud oozing in, to further chill my already sodden feet. That’s par for the course in the Lake District fells, and I wouldn’t have it any other way. Part of my stubborn brain thrives on the adversity of fell running and the daily challenge of overcoming rain, more rain, and torrential rain, not to mention slippery wet rocks, gale force winds, bog, and mud. Lots of it. A psychologist might have a few choice thoughts about us crazy UK runners and what drives us to keep going out in the typical British weather, but like a gambler, we all blot out the days of wind, mud and rain, and remember the ‘perfect mile’ where it was dry underfoot, only a light breeze, and perfect visibility. It’s that chance that when we go out, we find the holy grail of those conditions, when everyone else is pounding the streets, or hitting the gym. There is of course an alternative. 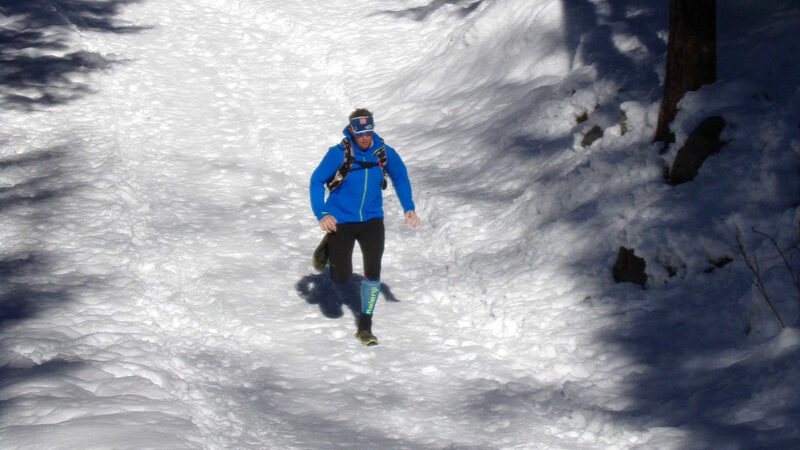 It’s one that more and more runners are discovering – and that’s to escape the inclement weather of the UK, to seek trail running conditions that are really the stuff of dreams. There’s a mecca of trail running in Europe that has attracted everyone from global superstars such as Spaniard Kilian Jornet and Swede Emelie Forsberg, to home grown talent including Robbie Britton and Neil Bryant. It’s an international melting pot of some of the best trail runners in the world, and some of the best trails and terrain: Chamonix. 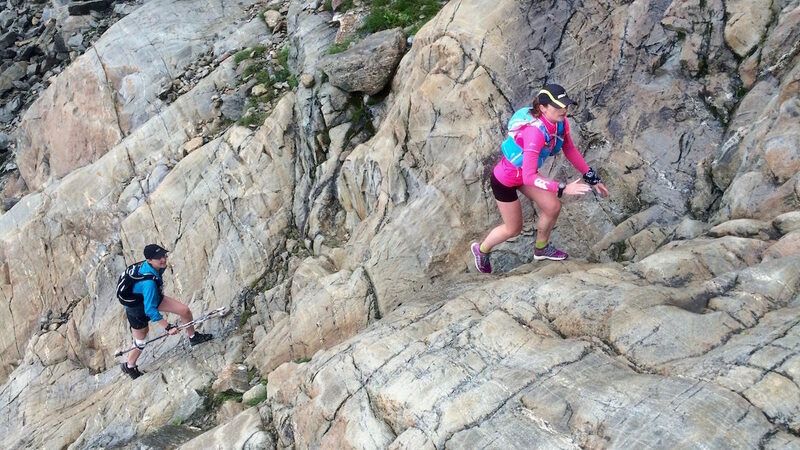 Nestled at the foot of Mont Blanc 4810m, Chamonix now hosts some of the highlights of the trail running race calendar: the Ultra-Trail du Mont Blanc, Chamonix Marathon, and Vertical Kilometre. The town has a long history of mountaineering, dating back to the first ascent of Mont Blanc in 1786. It also hosted the first ever Winter Olympics in 1924. But the last decade has seen a change with more visitors now in the summer months than over the winter season. The tourist office puts this down to trail running. The reasons for the growing popularity of Chamonix and the Mont Blanc region for trail running are obvious: firstly, there’s the ease of access via the budget airlines to Geneva airport and a short transfer to Chamonix; secondly, there’s a wide range of accommodation to suit all budgets from campsites and bunkhouses to five star hotels; and thirdly, the local infrastructure gives easy access around the massif to a massive range of trail running venues. As well as the Chamonix valley, you can pop through the tunnel into Italy, or take the train up the valley into Switzerland. For the average Brit runner it seems mind-boggling that you can realistically run in three different countries in three days. The mountains are big enough to block or deflect weather systems, so you can generally find good weather on one side of the massif each day. 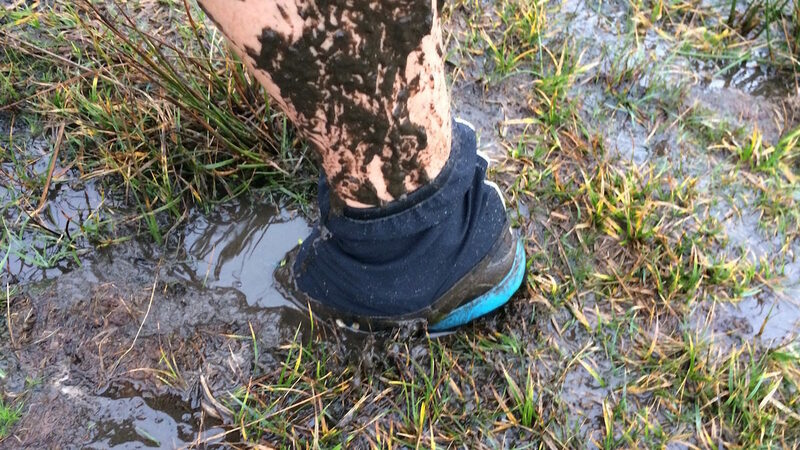 Soon those memories of sodden feet and endless mud will be well forgotten. There are some iconic views in the Mont Blanc massif which I try and share with all the guests I lead on a trail running week in the Alps, such as over Mont de la Saxe and the ridge crest of Tête de la Tronche, with the huge south face of Mont Blanc forming an unbelievable backdrop. Another classic is the balcony trail above the Mer de Glace, where you can see the huge glacier below you, with the north face of the Grandes Jorasses at its head. Like anywhere popular, some areas are very busy in the height of season, but as with the Lake District it seems that 95 per cent of visitors only have the imagination to visit five per cent of the area. 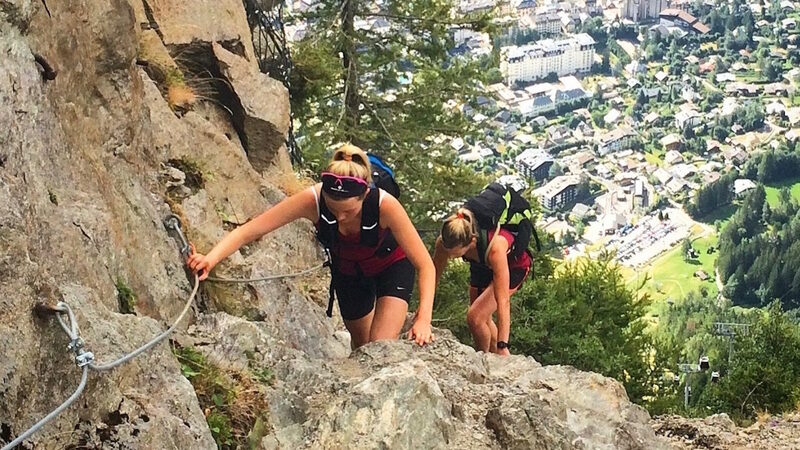 Chamonix is no different – even in July and August you can trail run some routes and see only a handful of people all day. A personal favourite is the traverse of the Aiguilles Rouges from Le Buet to Servoz, via the Col de Salenton (possibly even taking in the summit of Mont Buet too), where you are likely to see more ibex and chamois than people. 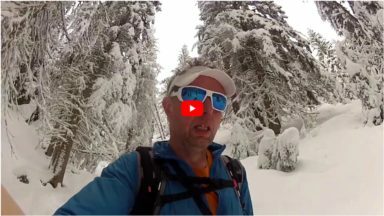 I might be coming across as a little anti-social here, telling you where to run to avoid humanity, but that’s one of the delights of trail running in Chamonix – there is real wilderness out there, and you can have the mountains to yourself. There’s a feeling of liberation that running in wild spaces can give, which is hard to find on such a majestic scale anywhere else. For the more adventurous, there are trails that can push your envelope of comfort a little, such as the Chamonix Vertical Kilometre, which as the name indicates, has exactly 1000m of height gain. It starts in front of the town hall in Chamonix, before following the line of the cable car to Planpraz, above the treeline. There’s a few memorable moments, such as looking between your legs and seeing a cable car far below, and the town laid out like a model in the valley floor. There are metal steps, and cables to help on the steeper sections. The feeling of achievement when you reach the upper cable car station is enough reward for you to ignore the feeling of your lungs bursting through your chest. 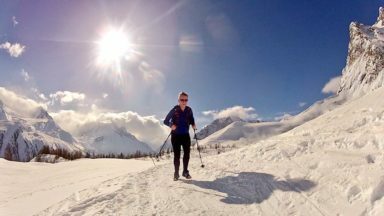 It’s the versatility and range of trails in the Chamonix region which is so appealing. You can select any style of run that you like, from woodland trails and rolling alpages, to challenging rocky passes and summits. There’s even the possibility of running on the snow, both in the summer months and also during the winter. For those who love trail running, that’s the attraction of the region; you feel like a kid in a toyshop. There’s so much to choose from – it feels as if all your Christmases have come at once. Many people from the UK worry about the differences between the terrain they are used to and that of the Alps. For sure there are factors that are alien to the UK, such as the effects of altitude, but you can use exactly the same clothing and footwear that works for you in the UK, so don’t worry about a huge bill at the running shop before you go. The trails are well marked, so this is a welcome treat to UK runners put off mountain running for navigational reasons. In addition, runners in the Chamonix region all appreciate the system of mountain huts where you can stop for refreshments, meaning you don’t have to carry too much. As far as the ideal time of year, the key summer season is from mid-June to mid-September, when all the cable cars, huts, and facilities are open. It is also possible to run outside these seasons but be wary of going too early when there will be extensive icy snow patches still lurking. 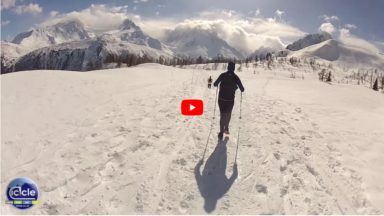 In the winter, it’s also possible to enjoy a trip to the Alps as there are many trails that can still be run safely without any avalanche risk. You will find there’s plenty of grip on regular fell running shoes, or you can wear small trail running crampons for grip. 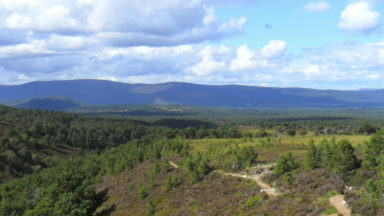 It’s not just the variety of trails, seasons and terrain that are unique – the cultural differences between the three countries in the vicinity are vast. 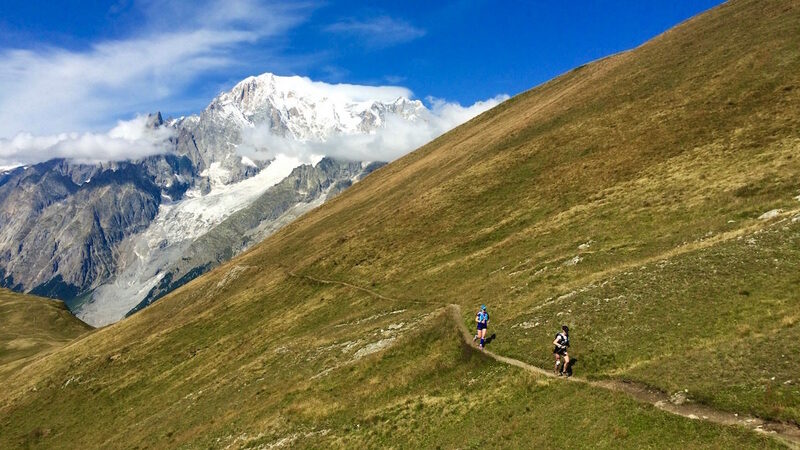 Depending on your palate, you can opt for an Italian trail run with a pasta or pizza dinner in Courmayeur as a reward, or perhaps run in Switzerland before a fondue or croute, then a run in France for a tarte aux myrtilles. Not only does the cuisine vary massively between the countries, but so does the architecture and language. There is one thing that unites the region, and that is a great local respect for trail runners, as it is a sport that brings the countries closer together. I remember one time running from Chamonix to Courmayeur through the middle of the night and meeting a shepherd at 3am near the Bonhomme refuge, who asked if we were doing a UTMB recce. He was as impressed to see us, as we were surprised to bump into him, and we shook hands before running off down the trail. In the Aosta valley of Italy, the Tor des Geants is equally revered. When the Chamoniards describe their valley as the ‘Vallee du Trail’, there is a real cultural shift going on here. Old traditions die hard, and there is so much history of mountaineering and winter sports that it might come as a surprise that trail running has been so readily embraced here. 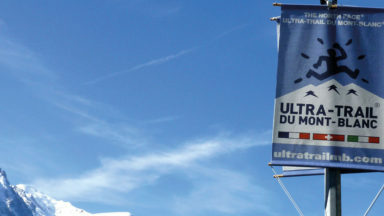 You only need to visit in one of the trail race weeks to see the town has become completely obsessed with it: UTMB flags flutter from each lamp post; there are pop-up athletes villages; sponsors banners adorn the start and finish route along the high street; and tens of thousands of trail runners and their friends and families descend upon the town. It’s maybe not so much as though the region has a choice – trail running is huge, and it is here to stay. 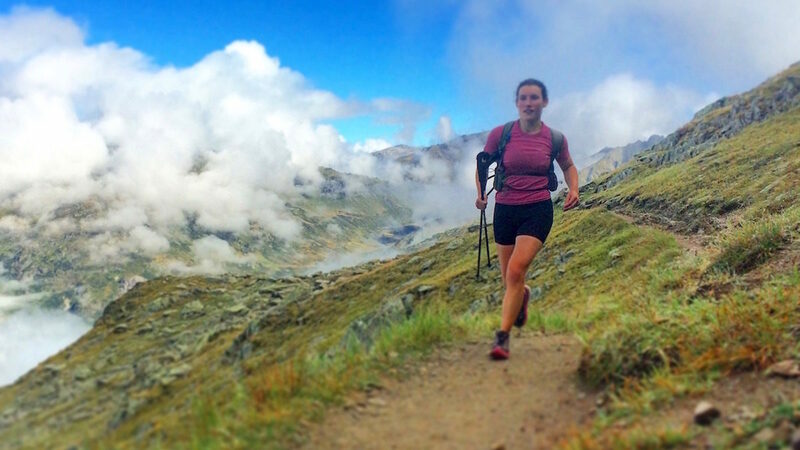 So what’s not to like about trail running in Chamonix and the Mont Blanc? Nothing I’ve found so far, and I’ve been running there for over 20 years now. When I wrote the guidebook, I included three styles of route worth considering when visiting the region for trail running: some of the classic routes with the most iconic views; a few quiet gems – routes to escape into the wilderness of the Alps, even so close to a tourist honeypot such as Chamonix; and race routes of all the major trail races in the region, so you can recce them for a race, or share the paths that your trail running sporting idols compete on. The experience of trail running in Chamonix is to a runner what a kick about on the pitch at Anfield would be to a Liverpool fan. The feeling in your gut when you set foot on the trails is electric, and you are rewarded at every turn by views of unimaginable beauty. The delights of running on the trails of Chamonix and the Mont Blanc area will stay with you forever, even when you return to the UK and your fell shoes fill up with cold dank water again.